A set with chocolate biscuits, flowers, cake pops and candles. Wedding accessories in a soft, elegant and pink presentation. Decoration for a celebration: a special event, a party or a birthday. 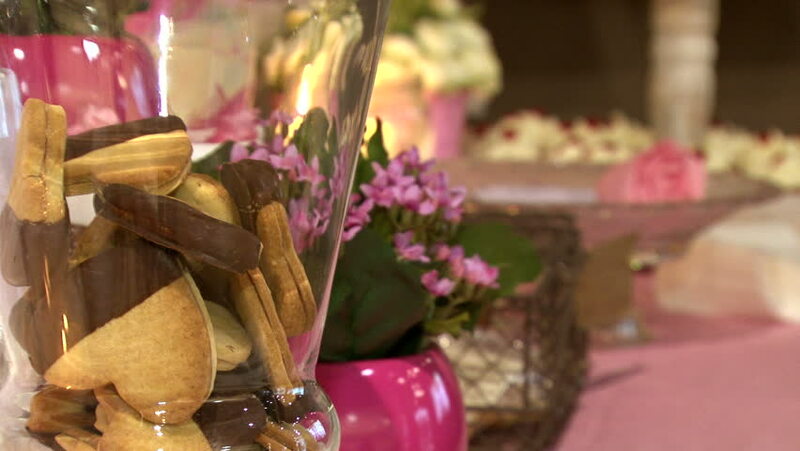 hd00:13Biscuits Flowers and Candles Wedding Accessories. A set with chocolate biscuits, flowers, cake pops and candles. Wedding accessories in a soft, elegant and pink presentation. hd00:13Children in the graveyard, holiday of the deceased.